Tourism offices of such countries as Thailand, UK, Singapore, and Western Australia, offers their respective event of the May including Spa Expo of Thailand, Treasure Hunting Tour of England, Spring of Singapore Festival on Nami Island, and Tour to Australian by Experts. 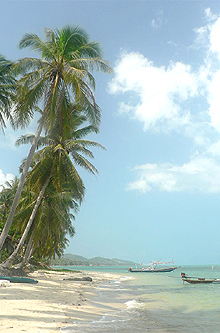 First, Tourism Authority of Thailand will host Samui-Surat Spa Exposition on the Chaweng Beach for five days from May 10 to May 14, 2007. In Thailand May is the Month of Spa. Treasure Hunting Tour of England (www.bomultour.com) will be jointly organized by its promoter and Tourism Office of UK in Seoul or Visit Britain (http://www.visitbritain.com/VB3-ko-KR/corporate/corporate.aspx ). Ticket purchasers for tour to England will be invited a live concert where famous singers will perform. Among the ticket buyers 50 couples or 100 customers will be invited to the Olympic Gymnastic Stadium for the live concert on May 30, 2007. The venues of the nine-day trip to England program includes Stonehenge, Bath, Oxford, Stratford-Upon-Avon (birthplace of William Shakespeare), Lack District, Manchester United soccer team, Lock Ness, Glasgow, and Edinburgh. Another program "Free Six-Day Trip" includes staying in Design Hotel in London's shopping district and is designed for visiting other shopping areas. The prices are 1590,000 won. Fusion Dishes Shown in "Taste of Singapore"
Singapore Tourism Board in Seoul is hosting "Spring of Singapore Festival" at Lotte Hotel, Lotte Department, and Nami Island in Chuncheon from May 5 to May 15, 2007 on the occasion of May, "the Month of Family." The festival consists of "Taste of Singapore," a food festival introducing fusion-type dishes of Singapore, and a photo exhibition of Singapore to be held on the exhibition area of Lotte Department Store. The Singapore food festival will be held at buffet restaurant "La Seine" of its three hotels of Lotte Hotel in Sogong-dong, Lotte Hotel in Jamshil, and Lotte Hotel in Busan. A total of 25 different dishes including chilli crab and pork rib soup will be shown during the festival.